Actor Imran Khan, known for films like "Jaane Tu Ya Jaane Na", "I Hate Luv Storys", "Delhi Belly" and "Ek Main Aur Ekk Tu", says he has "built" his career on first-time directors as as every time he has worked with them, those films have done well at the box office. "I've never had the chance to work with big directors. I've built my career on first-time directors -- whether it is 'Jaane Tu Ya Jaane Na' (Abbas Tyrewala), 'Ek Main Aur Ekk Tu' (Shakun Batra), 'I Hate Luv Storys' (Punit Malhotra) or 'Mere Brother Ki Dulhan' (Ali Abbas Zafar). "Every hit film that I have done in my career has been made by a first-time director. When I have worked with established directors, those films have not worked," Imran told IANS. 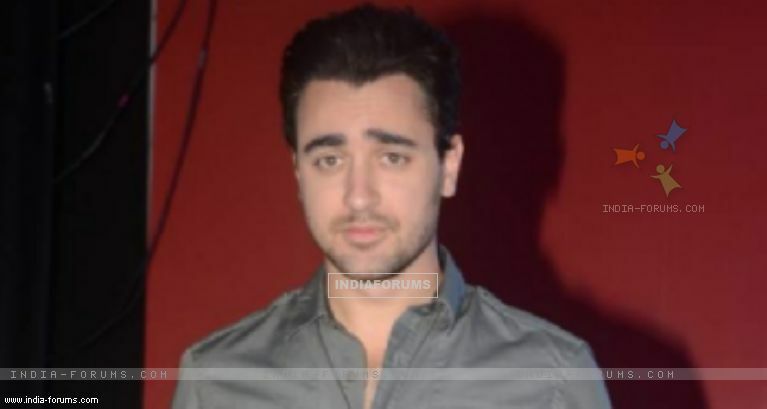 Imran, whose past three films "Gori Tere Pyaar Mein", "Once Upon Ay Time In Mumbai Dobaara!" and "Matru Ki Bijlee Ka Mandola" did not garner the expected plaudits, is returning to the silver screen after a hiatus of almost two years. He will be seen in comedy thriller "Katti Batti", directed by "Kal Ho Naa Ho" director Nikhil Advani. Imran justified his choice of "Katti Batti" by saying: "I have done work that I know I am happy with. I have made a film that I am very proud of. Whether others will like it or not it's not in my hand. "There are enough films that I'm not proud of at all. So, you never know what people will like or they will dislike. If anyone is honest, they cannot say that they are proud of every film that they make. Nobody can be. "For me, 'Katti Batti' is one of those rare films which I can look up and say that 'I'm proud of this'," the 32-year-old said, who is now a father.